This project is designed to develop a network of state-level experts to improve early identification practices. Act Early Ambassadors serve as state liaisons to the Act Early Initiative and act as a community champion or change agent to increase awareness activities and improvement of early identification practices. This project provides resources for the Waisman Center UCEDD to serve as the Southern Regional Center for the Wisconsin Children With Special Health Care Needs Program (State Title V Agency). In that role, the Center: 1) Provides information, referral and follow up services so that all families with children with special health care needs, and providers residing in the service area will have access to complete and accurate information related to the needs of their special needs child. 2) Promotes a parent-to-parent support network to assure that all families have access to parent support services. 3) Works to increase the capacity of local health departments and other local agencies, such as schools, to provide service coordination through education, training and ongoing technical assistance. 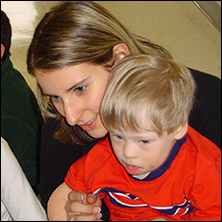 Provides service to family members, volunteers, direct care providers, special education teachers, transportation providers, para-professional and professional service providers from all settings providing services in Dane County for people with developmental disabilities. Provision of a variety of training, consultation and educational opportunities individual, small group, and larger audiences related to developmental disabilities. The Family Action Network provides information about opportunities for education, training and leadership development to members who would like to contribute their voice to improve systems for people with disabilities and special health care needs in Wisconsin. Members are encouraged to share their ideas as informed, effective and knowledgeable participants in policy and systems change to help achieve family/self-determination, independence, productivity, integration and inclusion in all facets of community life. Systems change happens when family members are partners in the development, implementation and evaluation of policies and systems of supports and services. Information shared on this list does not represent a position or endorsement of specific positions by the list serv host. 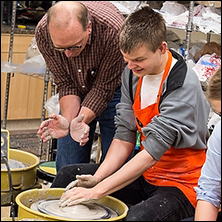 This listserv is collaboration between the Waisman Center, University Center of Excellence on Developmental Disabilities, Family Voices of Wisconsin, Disability Rights Wisconsin and the Board for People with Developmental Disabilities. The Waisman Center UCEDD is a partner within the Genetics Systems Integration Hub of the Wisconsin Title V Children and Youth with Special Health Care Needs Program. The purpose of the Genetics Hub is to ensure that genetics information and resources are integrated with public health systems to support individuals with genetic disorders, their families, and health care professionals. LOV-Dane is a grassroots organization of individuals with disabilities, families and community members building fulfilling, community centered lives for all citizens. LOV is engaging in collective action, mobilizing individual and community assets, increasing civic engagement, building reciprocal relationships of caring and mutual support, and developing inclusive and sustainable employment, recreation and living opportunities. The purpose of the Wisconsin WIC CYSHCN Nourishing Special Needs Network is to improve access to nutrition services and support for infants and children with birth defects and other special health care needs in Wisconsin. Building on the existing capacity of the Women Infants and Children (WIC) Program, this Network is facilitating the recruitment and training of a Children and Youth with Special Health Care Needs (CYSHCN) WIC Nutrition Consultant(s) in each Division of Public Health Region. The UCEDD supports a variety of efforts at the state level that provide input to policy makers on a wide range of topics that impact the lives of people with disabilities and their families. We do this primarily through participation on coalitions, advisory committees and state councils. The UCEDD is a member of the Survival Coalition of Statewide Disability Organizations and contributes to written documents from the Long-Term Care, Medicaid and Children’s Issues groups. The purpose of this project is to document needs that individuals with disabilities and families experience as they navigate health and community-based LTSS. The project will develop recommendations and participate in depth with DHS administration and/or Survival coalition efforts that address at least two needs each year. Periodic reporting to Family Voices is pooled with other information to assist them in their ongoing advocacy/systems change efforts with their partner agencies, one of which is the Waisman Center UCEDD. The Wisconsin Care Integration Initiative (WiCII) project aims to increase family-centered, integrated systems of care for children with autism spectrum disorders and other developmental disabilities. WiCII will demonstrate innovative strategies to address goals of the Wisconsin Act Early State Plan to enhance screening, referral for diagnostic and early intervention services, and time enrollment in treatment services for children with ASD/DD, with a particular focus on building community-based capacity in urban and rural communities. 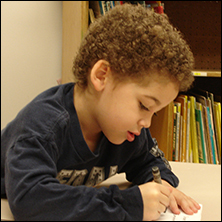 With funding from the WBPDD, Waisman is supporting various activities related to Promise Grant Wisconsin (Promoting Readiness of Minors in Supplemental Security) – a 5 year multi-agency effort to increase the education, career and income outcomes of children/youth with special health care needs receiving SSI. 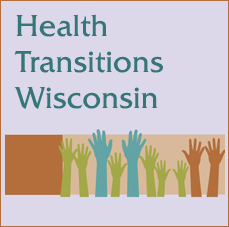 The Waisman Center UCEDD is a partner within the Youth Health Transition Initiative for CYSHCN of the Wisconsin Title V Children and Youth with Special Health Care Needs Program. The purpose of the Youth Transition Hub is to design and support efforts to assure that youth with special healthcare needs receive the services necessary to transition to adult healthcare, work, and independence. For more information link to http://www.healthtransitionwi.org/ and support efforts to assure that youth with special healthcare needs receive the services necessary to transition to adult healthcare, work, and independence. You can also view Our Programs in an Alphabetical Annotated List of Programs.